What are the most pothole-plagued highways in Brooklyn? Judging from the number of lawsuits filed against the city by drivers whose cars have been damaged by potholes, the answer would have to the Belt Parkway. 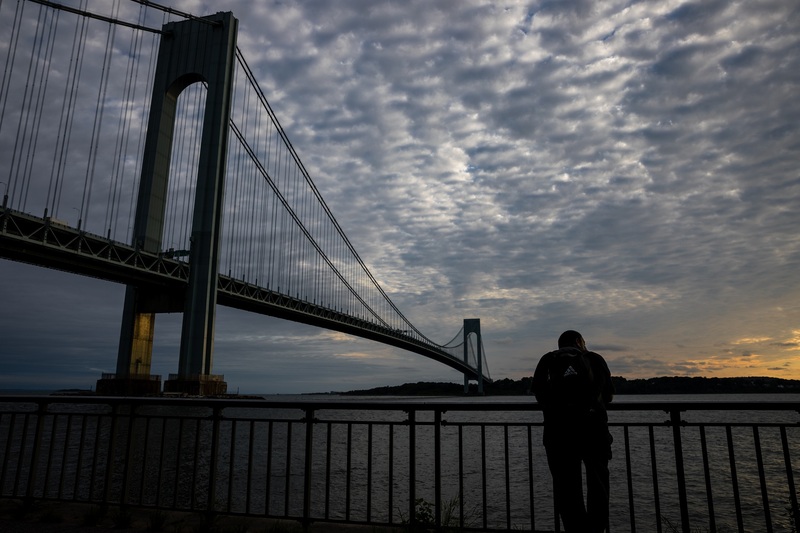 City Comptroller Scott Stringer announced on Thursday that the Belt Parkway has generated 706 claims in the comptroller’s office during a six year period, making it one of the worst roadways in the city. Stringer labeled the Belt one of the three worst roadways for potholes in the entire city. The other two are the Grand Central Parkway, which has generated 433 claims, and the Brooklyn-Queens Expressway, which has 422 claims. Before filing a lawsuit against the city, a plaintiff is required to file a notice of claim with the comptroller’s office. The news that the Belt Parkway is a pothole problem did not come as a surprise to Brooklyn elected officials and residents. Councilmember Mark Treyger (D-Coney Island-Gravesend-Bensonhurst) even wrote about it on his Twitter account. “Thanks Comptroller Stringer for highlighting what many Southern BK residents know all too well about the Belt Parkway,” he tweeted. Citing statistics from his ClaimStat Alert program, Stringer said that the city has seen more than 12,000 claims for damage to cars and trucks and nearly 6,000 personal injury claims. Over the past six years, the city has paid out close to $138 million dollars in settlements. It’s evidence that the city has a serious pothole problem, according to Stringer. The ClaimStat Alert examined the defective roadway problem on a city-wide scale, identifying the roadways that garnered the highest number of claims from Fiscal Year 2010 to Fiscal Year 2015. While the Dept. of Transportation (DOT) filled more than 74,000 potholes in the first four months of Fiscal Year 2015, the average time to close a pothole work order was 6.7 days, nearly triple the 2.4 days it took in the previous year, Stringer found. Stringer recommended that additional steps be taken, including exploring a complete reconstruction of certain streets — a tactic that initially costs more than repaving, but that could save taxpayers money in the long haul; re-evaluating DOT’s procedures to ensure that utilities properly reconstruct city streets following work that involves excavation of roadways; and ensuring street repairs are completed as quickly as possible. “While city streets might never be completely rid of potholes, we are working with DOT to make streets safer for New Yorkers whether they’re on two wheels, four wheels or on foot,” Stringer said. ClaimStat is a data-driven tool created by Stringer that is designed to reduce the cost of judgments and settlements by encouraging city agencies to make operational changes.